The career of an architect has its highs and lows. If we are lucky and engaged in our profession we get a chance to design some great buildings. I have been both fortunate and proud of what I have done in the last three decades of practice. Every so often an event occurs that really gives you a sense of the value of what we do. This morning I attended an end of the year breakfast presented by the Friends of the Petaluma Campus Trust. 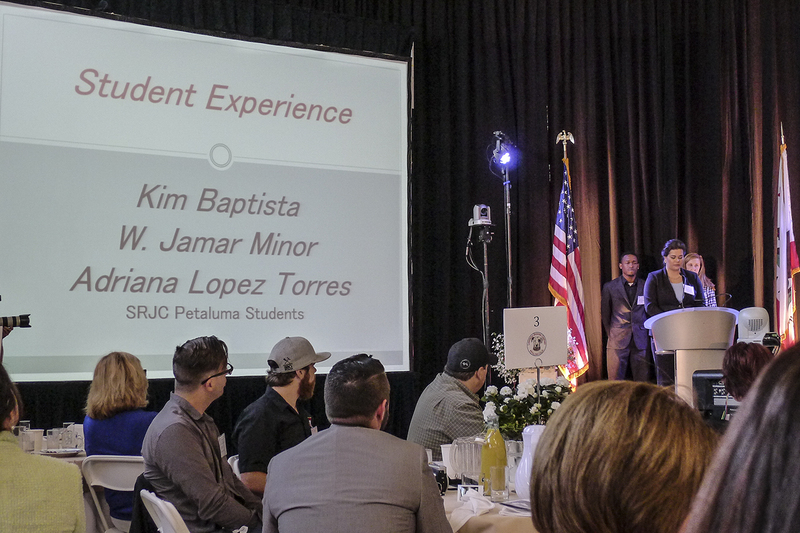 In the course of the presentation, three first generation college students spoke; Kim Baptista, a full-time parent and cancer survivor; W. Jamar Minor, an Air Force veteran and transplant from Akron, Ohio, and Adriana Lopez Torres, a Mexican born “Dreamer” raised in rural Marin County. The stories of the opportunities and support that the college and staff have been able to provide them with were extremely moving. Even more impressive was their own determination to push on despite a host of cultural, physical and financial obstacles. It was their teachers, counselors, and staff that really made this happen. As architects we just provided a good place for those things to happen. Their lives will be truly different from those of their parents and the college has made it possible. For nearly 30 years I have been working on the development of the Petaluma Campus of Santa Rosa Junior College. When I began, the campus was a group of portable buildings behind the giant plaster chicken at the Sonoma-Marin Fairgrounds. In 1995, I was immensely proud to be at the dedication of the first phase of the new campus built on a forty-acre site in east Petaluma. Almost 15 years later I was even more proud as the second phase of the campus’ development ushered in a new era for Petaluma, providing a full range of community college opportunities. As with most building dedications, we accept the accolades, head home, and don’t often get a chance to appreciate the post-occupancy life of the buildings. Hearing the student’s personal stories reminds me of how proud I am to have played a part in an institution that can have such transformative results. It is personal stories like these that really make my professional life worthwhile. On Saturday, June 1st, 300+ supporters of Mendocino College gathered for Gala on the Green, a fundraiser for the Mendocino College Foundation. A huge tent and colorfully decorated tables filled the new plaza between the Library and Learning Resource Center and the new Lowery Student Center, both designed by TLCD Architecture. It was a spectacular setting overlooking a sweeping view of the Ukiah Valley to the south. Auction items and a wine tasting were hosted in the Lowery Student Center, opened to public viewing for the first time on Saturday. The building will house campus food service, the bookstore and student activities spaces. Students from the Culinary program prepared a great meal served by a corps of MESA program students in white shirts all marching in procession with some of the best crab cakes to be had. Live music was provided by Van and the Swells and added to the wonderful ambiance of the evening. Having been closely involved in work at the campus, TLCD found it richly rewarding to see the new “town square” for the campus used so effectively and appreciated by the community. Nearly a decade ago, I typed up a one-page list of things to look for in the libraries we were visiting with a stakeholder group from Napa Valley College. That list morphed into a workbook called Touring Libraries, first printed in 2005. Thirty thousand photographs later, and after touring libraries throughout the United States and Europe, a new book called Experiencing Libraries has been born. This edition was published through the online service Blurb and will soon be available in hard bound, soft cover, and e-book versions. When non-designers visit other libraries it is often difficult for them to understand and articulate the qualities and functions of the spaces they are visiting. This book guides them though the library from the site, to the front door and to all facets of the library. 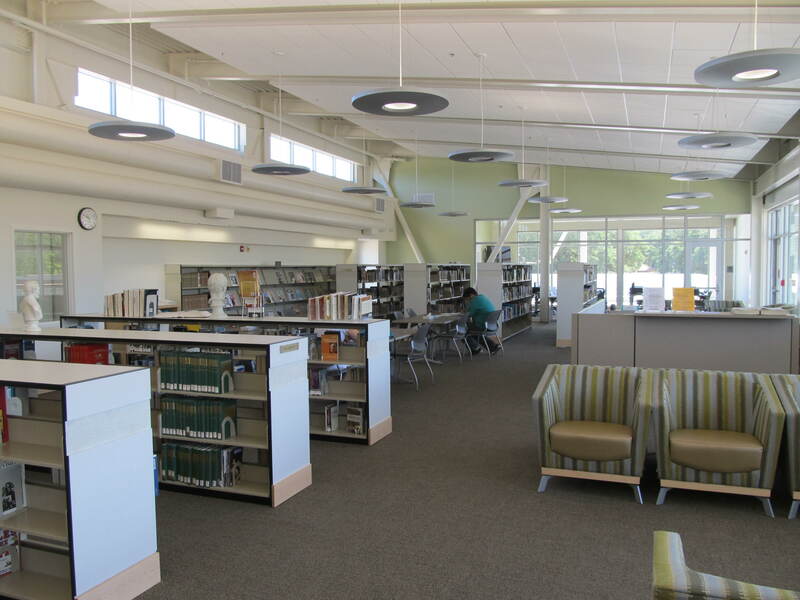 In addition to basic library space uses it includes sections on such topics as community rooms, way finding, loading docks and HVAC systems. The book is helpful both as a tour guide and as a tool for programming and plan evaluation. Written with library programmer Will Baty, whom TLCD Architecture has worked with on 4 of our recent library projects, we hope to find an institutional publisher such as the American Library Association in order to share it with a wider audience. Last evening 3 of TLCD Architecture’s projects were recognized by the North Bay Business Journal as Top Projects in the region. Each year the Business Journal recognizes outstanding projects in the North Bay in several categories. 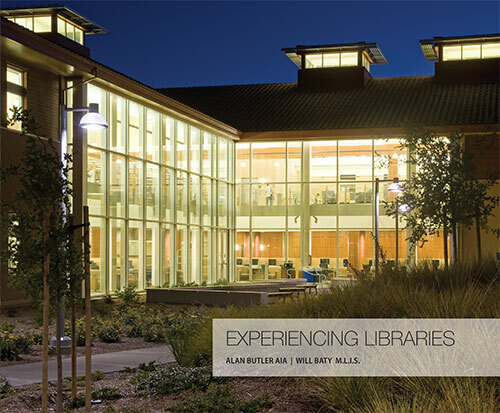 Mendocino College Library and Learning Resource Center received a Top Project award in the ‘Green’ category, recognizing a project that exemplified sustainable design. This is the second year in a row that TLCD Architecture received an award in this category. This project features numerous “green” features including daylight harvesting, a highly efficient mechanical system, and a green (vegetated) roof. Roseland Creek Elementary School, Roseland School District’s first new elementary school to be constructed in 50 years received the K-12 Education award. 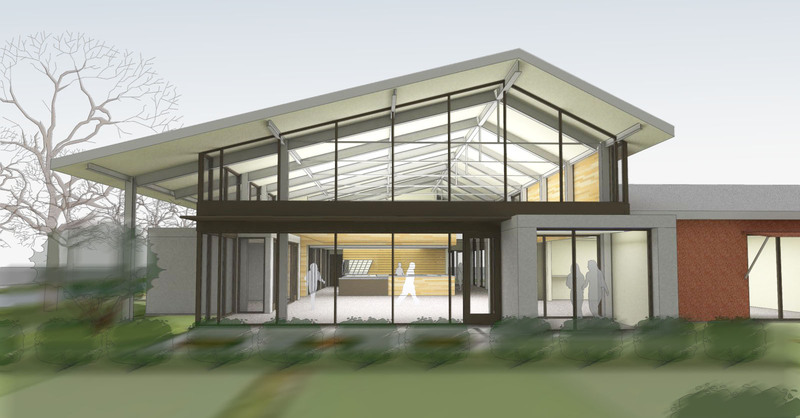 This 2-story school features exceptional indoor and outdoor learning environments. It too is a model of sustainability, and significantly outperforms stringent Title 24 requirements. The winning entry in the Finance category was Luther Burbank Savings Headquarters Branch in downtown Santa Rosa, which opened for business earlier this week. Defined by cherry colored exterior wood panels and crisp aluminum details, this highly visible project at the entry to downtown is hard to miss. On Friday November 2nd, the Los Angeles Times ran a story written by Lee Romney highlighting the many issues confronting rural Community Colleges: Rural Community Colleges Face Distinct Challenges. Featuring long-time TLCD client Mendocino College, the article also includes a photo gallery with a number of images of life on the College’s Ukiah campus. Describing the role of Mendocino College in the communities it serves, the article discusses the coming changes that may impact both its role in those communities and the courses and services it can offer its students. Highlighting TLCD’s recently completed Library and Learning Center as an indication of the kind of investment the District has made to provide first-class facilities for its student population, the community’s strong support for the College is demonstrated by the resources residents have committed to this district. Rural community colleges operate within a particular set of constraints. With smaller student populations spread over geographically large regions, the ability to deliver educational services can in part be related to student’s access to facilities. We have seen through our work with Yuba College on their Student Center in Clearlake as well as our ongoing projects with Mendocino College for their Lake Center and the Willits Center campuses, how the strategic addition of satellite facilities can greatly expand a community colleges’ ability to serve their students and their communities by improving student’s access. Encompassing classrooms, computer resource facilities, small libraries/ learning centers, and faculty offices, satellite campuses can provide access to college facilities without the need to travel to the main campus. Development of the support infrastructure including production facilities and purpose-designed distance education classrooms for implementation of technologies such as Yuba College’s eLearning and Mendocino College’s Distance Education programs can further serve to broaden access to educational opportunities available to rural community college students. 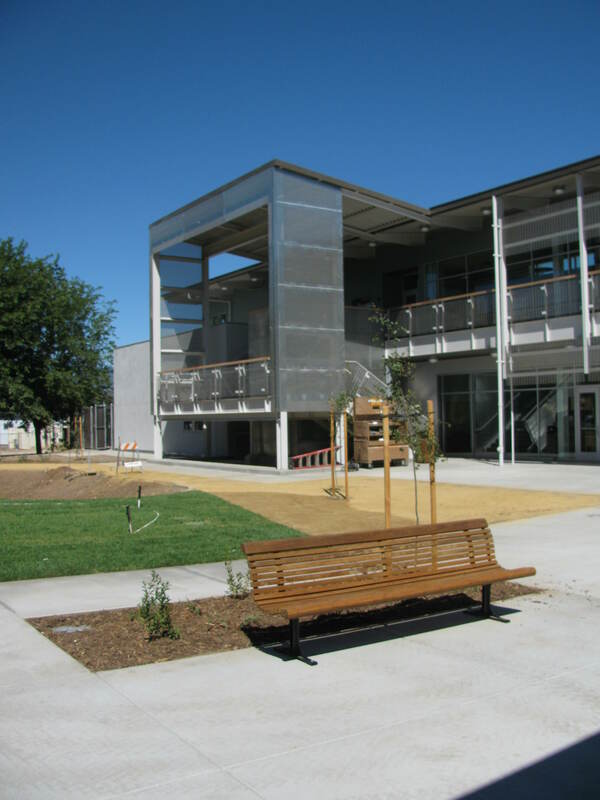 Yuba College – Clearlake Campus Nearing Completion! Just in time for the Fall semester…… the Clearlake Campus modernization is wrapping up. Completed in just over 1 year, the campus has been transformed with three new buildings. These additions allow administration services to be located in the same building, the Culinary Arts program to expand with the latest cooking equipment and teaching aids, and for the Science Department to begin offering Anatomy classes due to the inclusion of a Wet Lab and Cadaver Room. Kudos go to Sundt Construction for meeting a tight construction schedule, in often very demanding conditions. There has also been recent buzz in the local press. The Lake County Record-Bee has been keeping their eye on this project, letting the local citizens know that they have an amenity that adds real value to Lake County community. The entire Yuba College Community, Students and Staff alike, deserve my sincere thank you for remaining upbeat, energetic and commited throughout this lengthy process. They can all now take advantage of the modernized facility well into the future. After a wet spring and a mild summer we have now completed “Increment 1 – Site Package” for the Yuba Community College Student Services Center. The program is incorporated into three buildings and is quite varied, combining Administration Services, Learning Resource Center and Career Center, Library, Culinary Arts, and Science Clasrooms (including a Cadaver Room for Anatomy classes). The design team has worked closely with Sundt Construction to meet a schedule of preparing the site building pads, adding Rammed Aggregate Piers, and providing new parking and fire access roads, ahead of the Fall semester, which started in late September. The second part of the project: Increment 2 – Building Package was approved by the Division of the State Architect and as of late September is well under way. The footings have been poured and we are moving quickly toward the slab on grade pours. After that, the students and staff will start to see steel and wood framing for the walls. The project is scheduled for completion in summer 2012, so that the Owner can take occupancy in the Fall of 2012.